Website Projects • Our Work • Client : Tebbutt Plumbing. E-commerce + Retail, Catalogue, Distributor, Responsive, Company + Profile website developed by TANK Web Supply, Auckland, New Zealand. 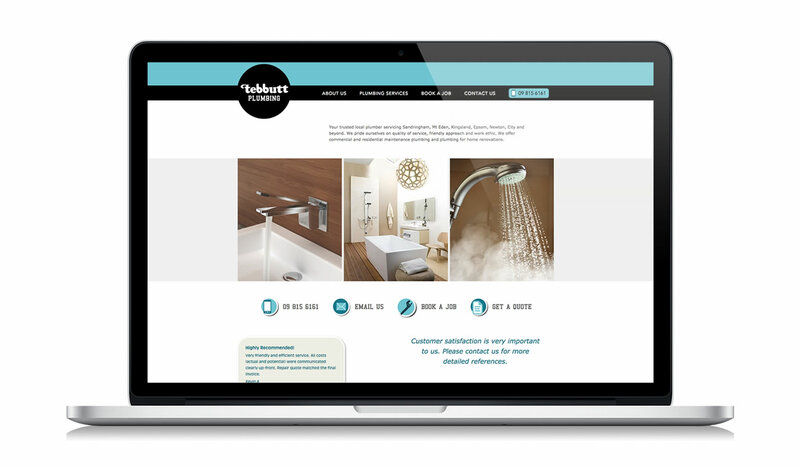 Local plumbing company Tebbutt's wanted a smart, device-friendly web presence - traversing desktop, tablet, and phone. This single skin website is highly search engine friendly, backed by our web-based Content Management System. Tweaks to testimonials and content has been made easy. With a new logo, business cards and website, Tebbutt Plumbing are ready to rock.